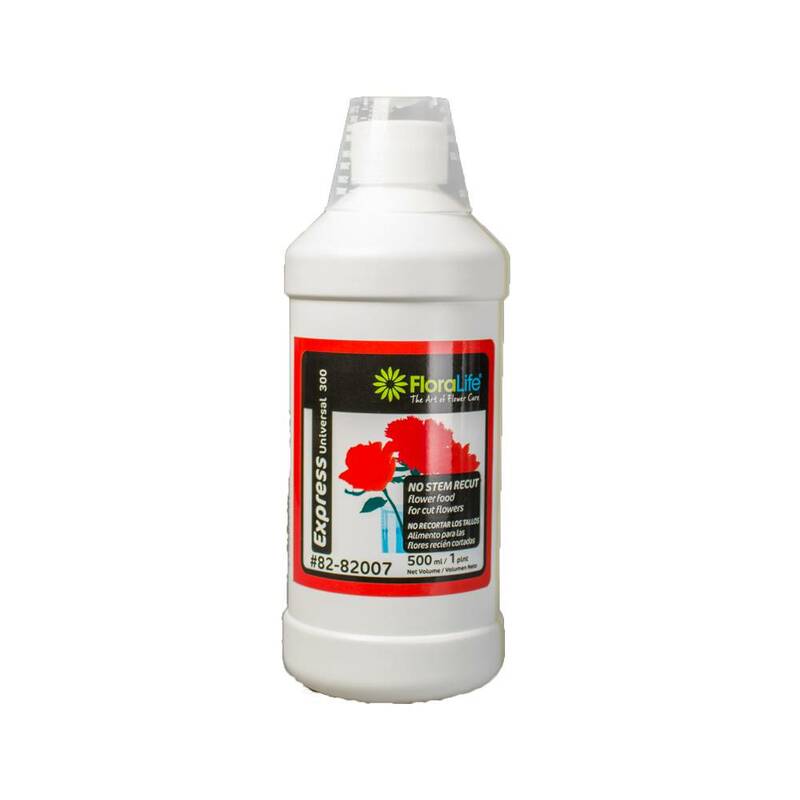 A revolutionary floral product that allows fresh cut flowers to be fed and fully hydrated without having to recut stems. This premium flower food is perfectly engineered with ingredients to keep flower bouquets and arrangements looking fresh, increasing longevity, and improving quality. Appropriate for use with all flower types, Express Universal 300 encourages the flowers to properly start opening, showing vibrant colors, and promotes uptake for hydration and nutrition to help keep stems clear and free flowing for maximum enjoyment.